People on Twitter can be mean, especially towards famous people like athletes. C.J. McCollum knows this better than anyone as he was the subject of some ribbing after he spoke about how much he hates players who chase after rings and championships. When McCollum addressed his comments on Twitter during the Summer, a woman named Jennifer clapped back at CJ, saying "Win a playoff game then talk." That prompted McCollum to reply with "I'm trying Jennifer." 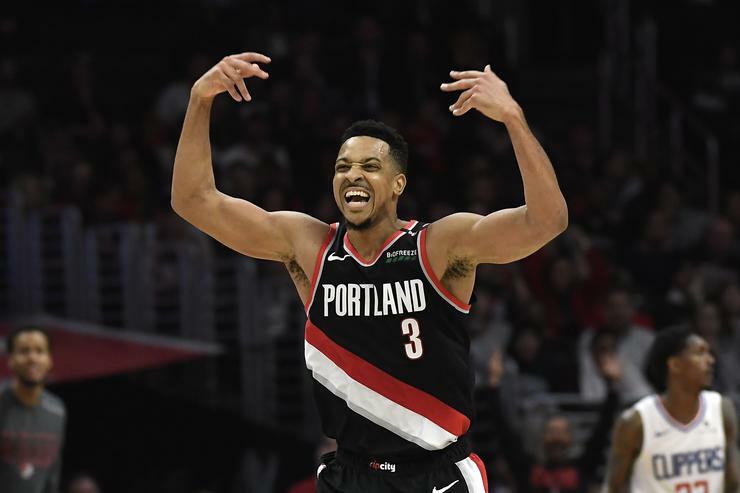 Well, McCollum's hard work paid off because, on Sunday, the Trail Blazers won game one of their best of seven series against the Oklahoma City Thunder. The final score was 104-99 and saw McCollum score a solid 24 points. After the game, McCollum was reminded of Jennifer and all he could do was laugh. He took to Twitter after the game and referred to Jennifer as a legend. Jennifer seems to be embracing her role quite well, as she took to Twitter to say "You’re welcome Portland." Lucky for us, McCollum didn't pull a Kevin Durant and clap back with the burner accounts. After all, McCollum hates ring chasing so it's not surprising he would do the opposite of KD.